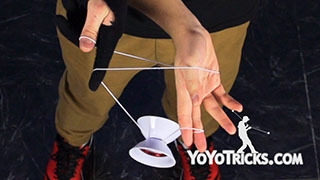 Learn how to bind an offstring yoyo with The Spiderman. This trick starts in a mount that is similar to the forward mount throw. If you have not seen that video, go check it out. 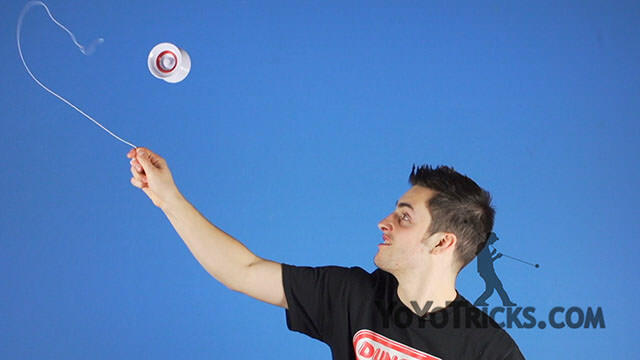 So what you are going to want to do is throw the yoyo over your non throwhand, lift your hand up so that the yoyo will pop into the air and land on top of the string. 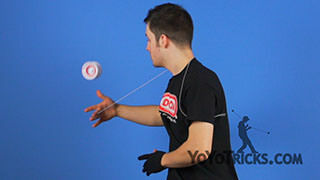 You are going to want to throw the yoyo like this instead of the normal way, because the direction the yoyo is spinning will make it easier to do the bind. Once you have this part you are going to put the string over your throwhand thumb and push out and away with your non throwhand thumb. 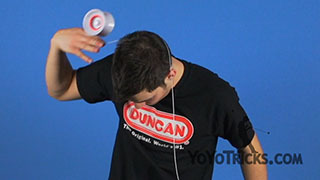 You are then going to bend your knees and pop the yoyo up into the air. 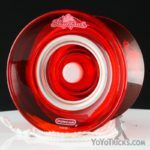 While the yoyo is in the air, you are going to want to put a lot of pressure on both of your thumbs. You are going to want to push out and away with your throwhand thumb and release with your non throwhand thumb. There are a few things you are going to want to remember from the open string bind video to help you with this trick. 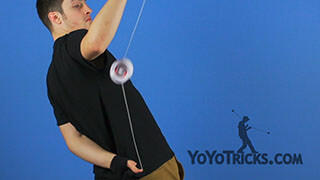 You are going to want to move your hand up and then back to the yoyo as it hits the string. 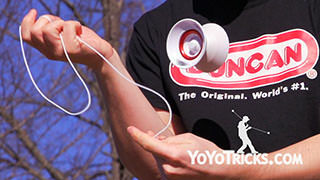 You are also going to want to hit the yoyo in the middle of the string, or closer to your throwhand. 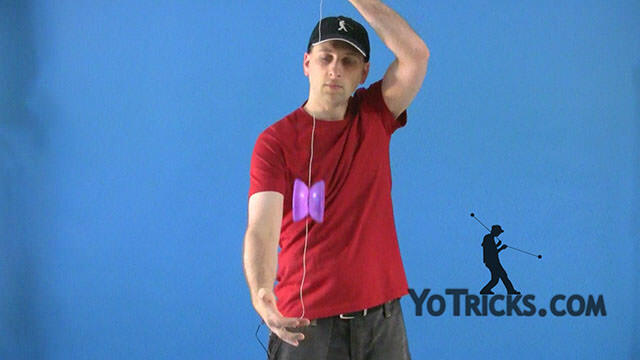 One other thing that will help you with this trick is that you are going to want to angle the string up to help you with the bind. Finally you are going to want to align your opposite shoulder with the gap of the yoyo to help you with the catch. 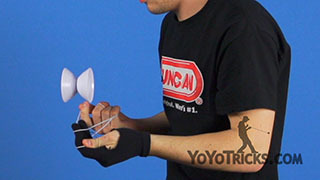 And you are going to want to turn your hand as you catch the yoyo with your palm facing inwards towards you so you catch the yoyo properly and not backwards in your hand. And that is The Spiderman.